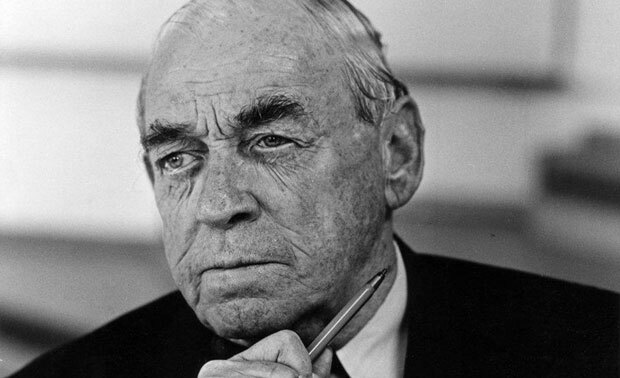 Alvar Aalto, a modern architect, was born in Finland on 3 February 1898. His love for drawing dragged him to an architecture school named Helsinki University of Technology. He proved to be quite good with grades and got his degree in 1921. In 1923 he set up his own office. The early work of Aalto showcases classism and he set some great examples of time. Along with his work, Aalto very actively participated in competitions as well and it was due to these competitions that he received international fame in 1927. Aalto’s work was famous for complex forms, intriguing design elements, and planes. It can be clearly seen that he holds on to the Finnish traditionalism regarding heritage and other physical features. He kept doing small projects consistently and at the same time wrote articles for newspapers too. In 1930s, Aalto diverted his ways from machine like approach to more artistic one. His work started appearing rich with romance, scenic beauty, tangibility and sensuousness. It was during 50s that he explored monumentalism and learned about various sculpting techniques. These techniques brought him closer to materials like marble and bronze and he started experimenting with mixed media. Reflection of this phase of his career can also be clearly seen on his architectural work. Furniture design was another area of design covered by Alvar Aalto. He used to put so much thought while designing a furniture piece that even today they are appreciated a lot. He not only designed the furniture pieces but also made an invention of cantilevered wooden chairs and proved his skills. To sum up the whole career of Aalto we can say that he was not only an architect but also a skillful sculptor and painter. His offerings to the fields of furniture design, textile and glassware make him stand tall in art industry. Since he addressed a wide variety of styles throughout his career, Aalto’s work cannot be stamped with one peculiar manner. He moved from classism to international modernism and then landed on more personal sort of modernism accompanied with synthetic supports. He was not only contented with buildings but also worked on city planning, urban master planning, large scale urban projects and interior designing. Alvar Aalto showed untiring dedication with his work and kept working quite actively until the very end. He died a natural death on May 11, 1976, in Helsinki, Finland.